Today, Logitech is lighting up its high-performance family of gaming gear with the introduction of the Logitech G560 PC Gaming Speaker and the Logitech G513 Mechanical Gaming Keyboard. These new products have been tailor-made for gamer needs, and offer intelligent RGB lighting for the greatest level of gaming immersion and fun yet. Our brand new LIGHTSYNC intelligent RGB immerses you into the action with automatic, game-driven lighting effects that react to many popular games including. LIGHTSYNC will blast light to match in-game explosions, approaching enemies, damage taken, healing is done, new worlds visited and much more. The G560 speakers are built on Logitech’s rich 25-year heritage in designing premium audio devices. The Logitech G560 is Logitech G’s first dedicated gaming speaker system, so we wanted to pull out all the stops. The Logitech G560 gives you advanced Logitech G LIGHTSYNC technology that synchronizes brilliant RGB lighting and powerful audio in real time to match on-screen gameplay action. But also, you can customize light and animation effects across approximately 16.8 million colors, with four lighting zones. 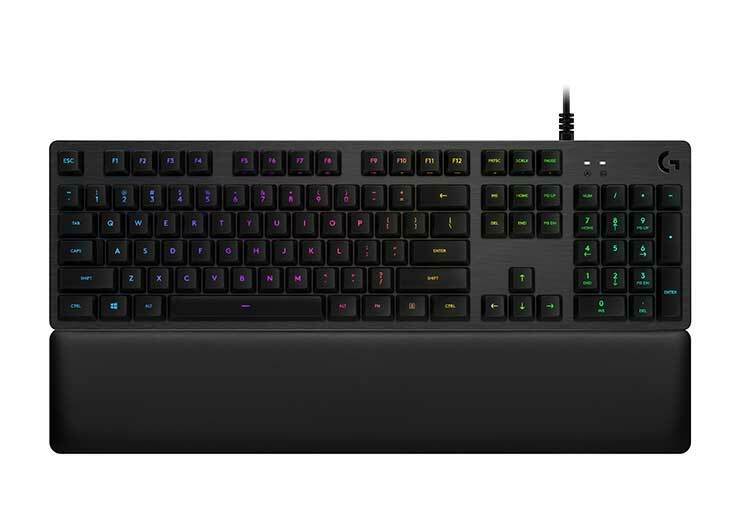 An evolution of the award-winning Logitech G413 Mechanical Gaming Keyboard, the Logitech G513 takes the mechanical gaming keyboard to the next level with RGB lighting and LIGHTSYNC support to deliver a dynamic experience with custom animations and in-game integrations. With the Logitech G513, you can choose Romer-G Tactile or Romer-G Linear switches for competition-grade performance, faster and quieter performance, brighter and shaper lighting, and more reliability than standard mechanical gaming switches. The minimalist Logitech G513 is designed with an integrated USB extension passthrough port and an optional palm rest so you can have a more comfortable setup for long sessions. The Logitech G560 PC Gaming Speaker and G513 Mechanical Gaming Keyboard are now available for pre-order at LogitechG.com.